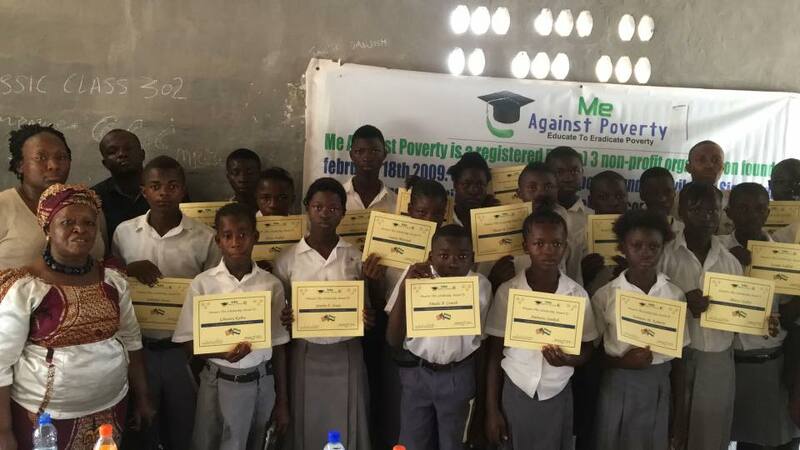 Country representatives for Me Against Poverty Inc in Sierra Leone has completed distribution of school supplies to 20 scholarship recepients at the Yonibana Secondary School . The distribution took place at the school grounds this morning February 6th 2016. All scholarship recipients received a back pack filled with 5 composition note books, packet of pen, pencil ,eraser, sharpener, ruler, calculator, hand sanitizer, packet of sheet rule paper and geometrical tools.Thanks and appreciation to all our donors for your unwavering support.